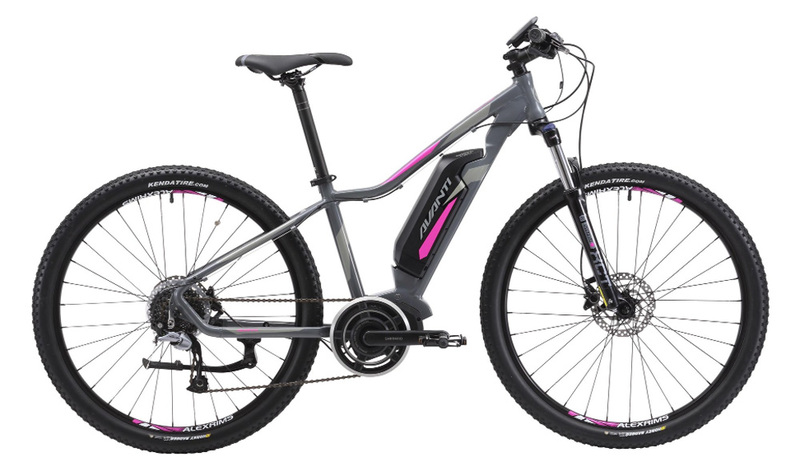 The Montari range of mountain bikes from AVANTI is super popular due to great value for money, top performance and a good range of options. It’s nice that they’ve now brought out an electric model using their base mountain bike and building up from there. The Montari Esteps is available in a men’s and women’s frame style and uses the SHIMANO Esteps mid-drive system. There are not too many, if any, electric bikes specifically designed with women in mind so it’s lovely that this one is now on the market. The SHIMANO mid-drive system is every bit as good as the well known BOSCH system in our experience so this ebike is about as good as you can hope for if you’re in the market for a hard tail electric bike capable of both on-road and off-road riding use.